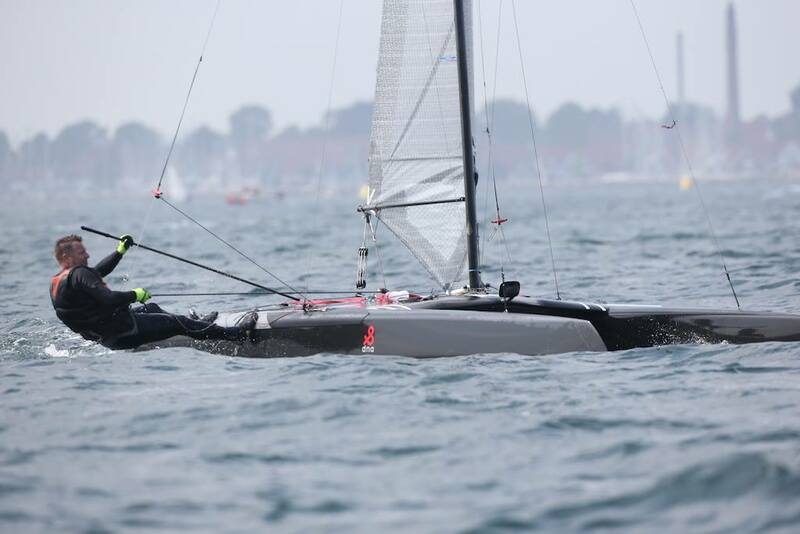 The A-Class were sharing the “D-course” with Contenders and 29’ers. The weather forecast for the entire weekend was sunny but with little to no wind, and on our way to the starting area that all seemed to be correct. Contenders where the first class to start, and only a few minutes later a moderate unexpected breeze kicked in. 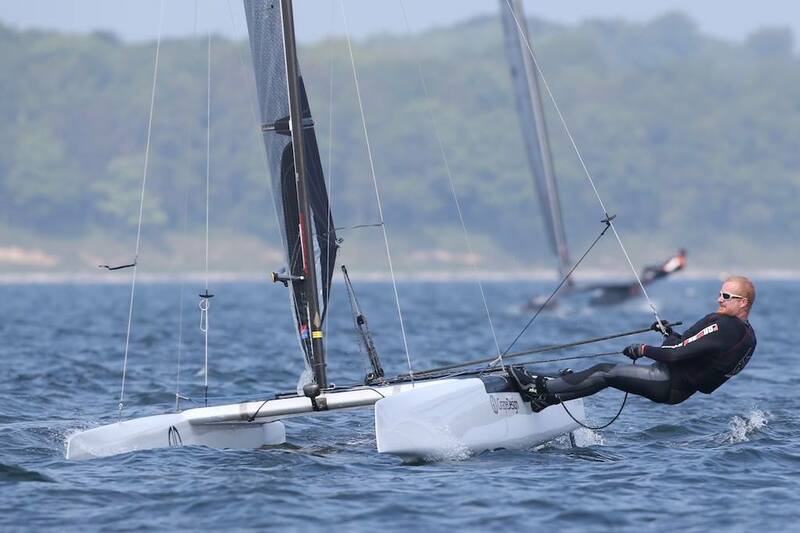 The first 2 races had marginal foiling conditions, which stretched the fleet as speed differences between those who where foiling and those who couldn't make it work where huge. The breeze was very steady in force and direction which gave very fair racing and staring from 3rd race, it even increased to 8-10 knots. Waves where building slowly adding a little extra challenge for the sailors. 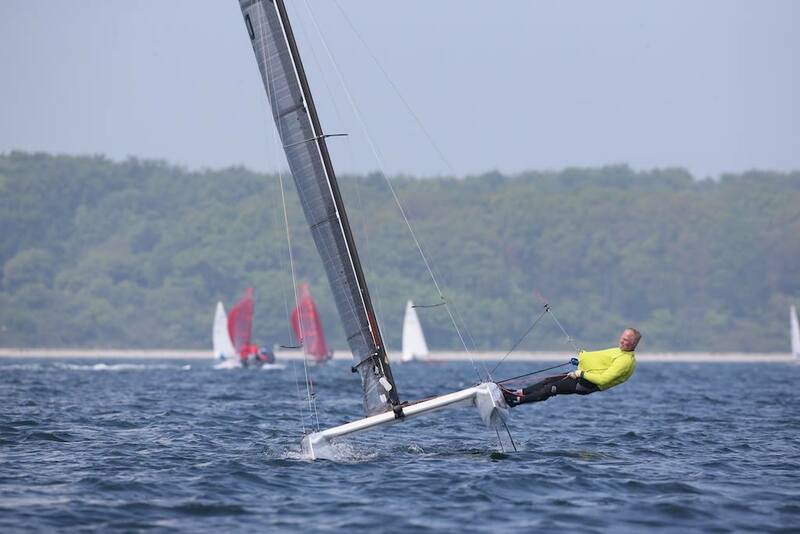 At the end of the day, Thomas Paasch (DNA F1, Mischa Sails) had put him self in a favourable position with 6 wins from 6 races. 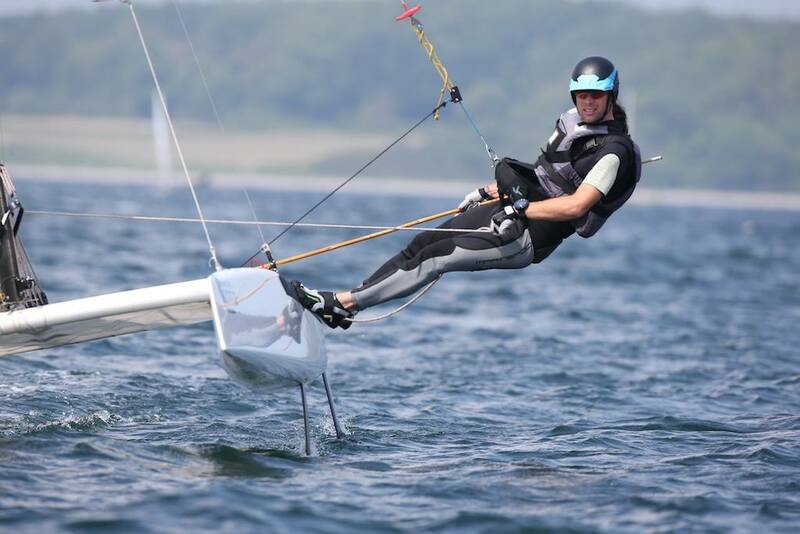 Christian Nygaard (Exploder A16, Landenberger) was in second place, showing some deep fast foiling on the runs. 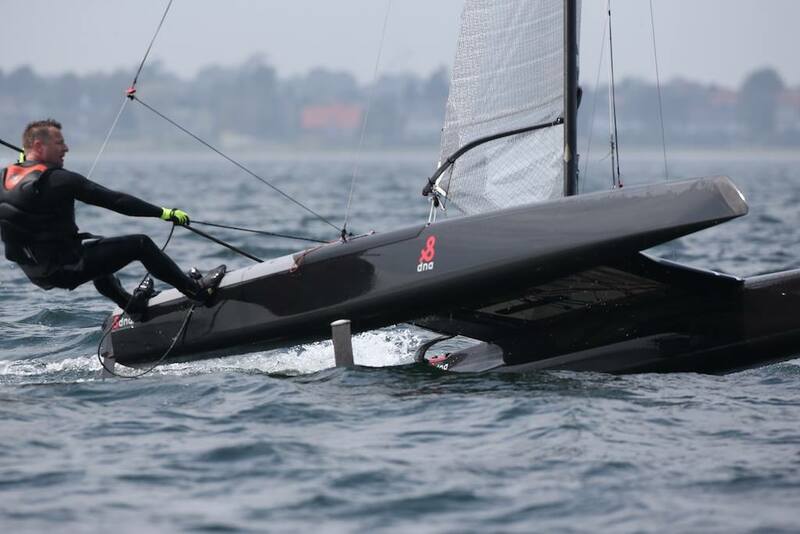 Bo Hasseriis was showing some good speed during the races, but a capsize and some rule incidents forced him down the ladder. Saturday night we had a barbecue and our annual meeting (Tom Bojland remains president of DAA). Sunday morning the bay of Kerteminde was like a mirror again. 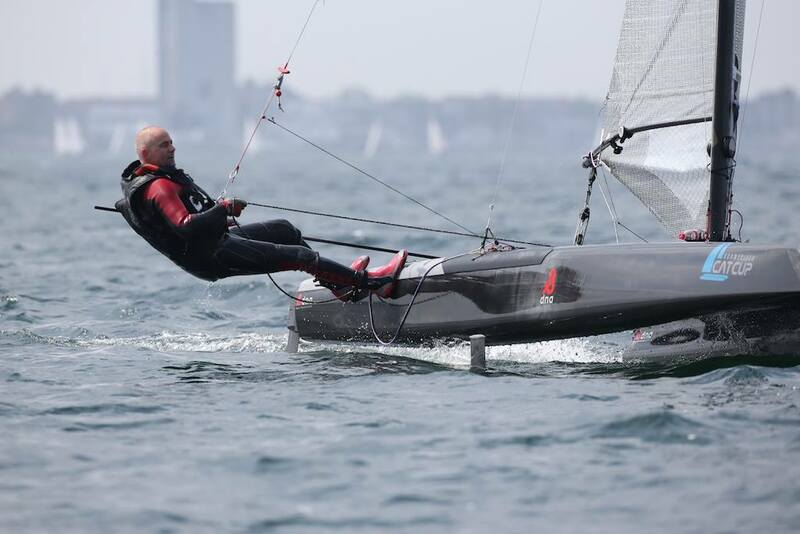 A light breeze was building, but it was very light as racing started at 10:00. 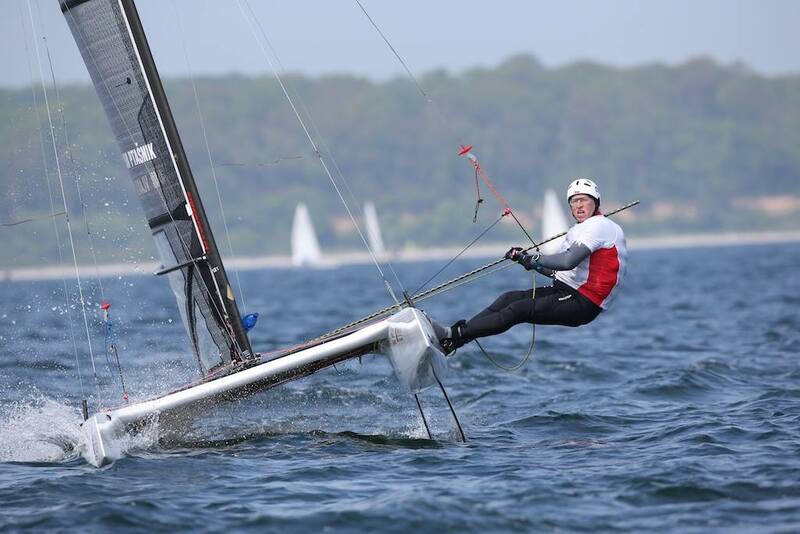 No trapezing on the upwind and definitely no foiling downwind. 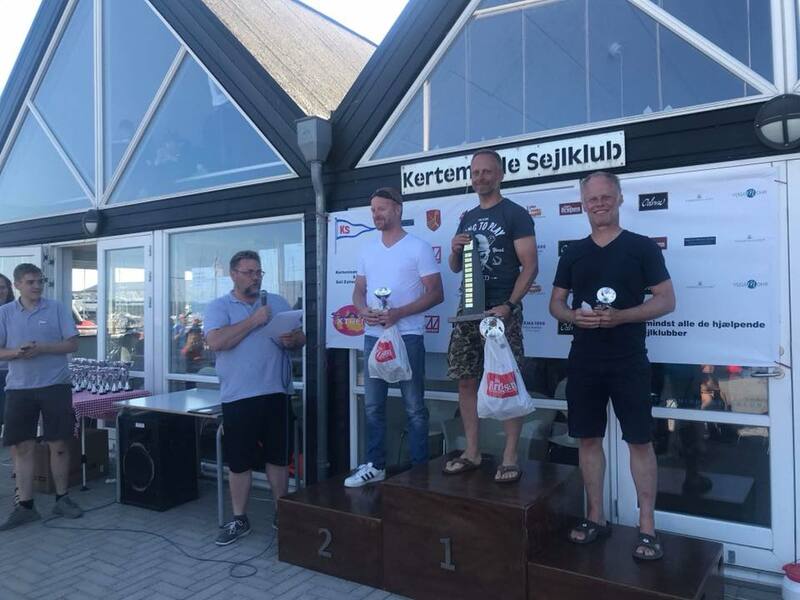 Tom Bojland was charging to move up from 3rd overall to 2nd, and was taking points from Christian in the first two races of the day, but Christian was fighting back and regaining his position in the next 2 races. 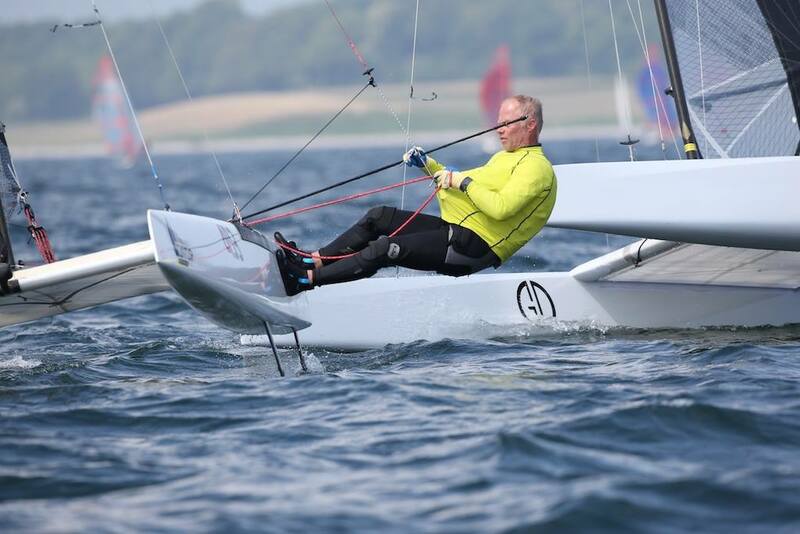 Lars Schrøder (Foiling Vision, Bryt) was struggling with mid fleet finishes Saturday, but was back in business with 2nd places in the last 4 races. 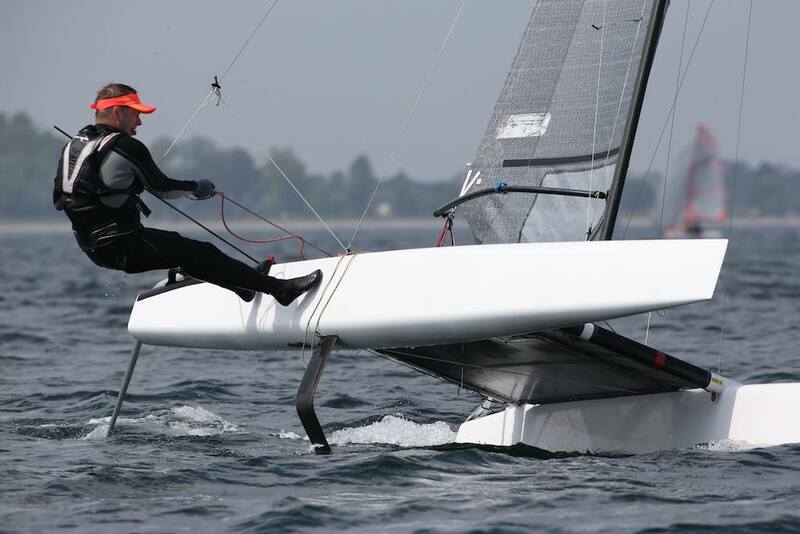 For the last 3 races wind had increased, but still not enough to make foiling possible. A few had a crack at it a couple of times, but except for one occasion, they where loosing distance while trying. Racing was closer than on the saturday, but again Thomas had a clean score sheet with only bullits.